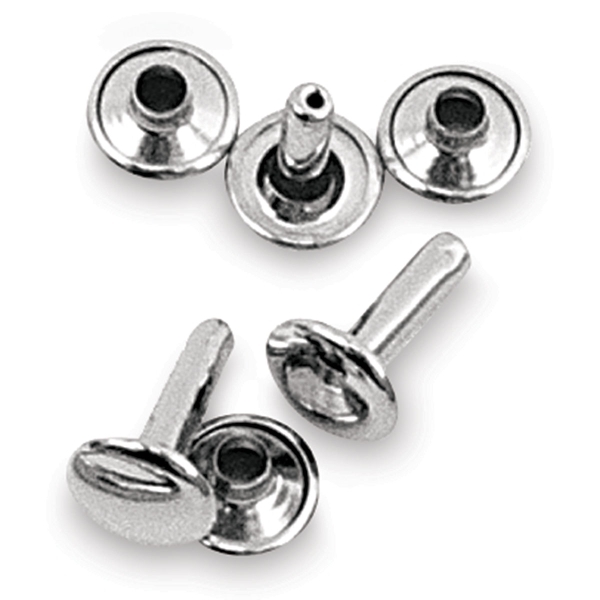 Realeather Rivets are both decorative and useful. 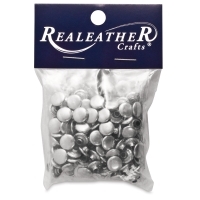 Join layers of leather, fabric, or canvas with these shallow dome-capped rivets. Each pack contains 100 nickel-plated rivets. Choose 1/4" or 3/8" posts.